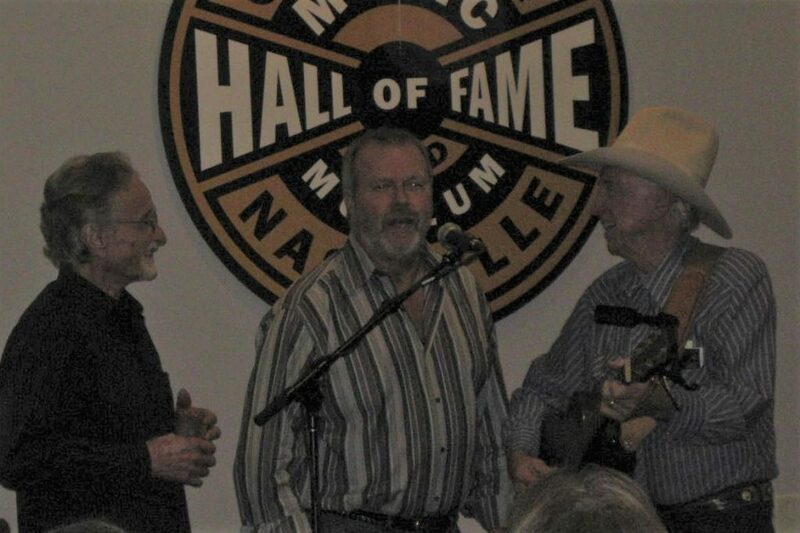 Jim Glaser, the originator of the Marty Robbins harmony sound, died April 6 at his Nashville home at age 81. While on tour near Spalding, Nebraska, in 1957, Marty hired the Glaser Brothers (Tom, Chuck, and Jim) after their father brought them to his dressing room. The trio toured and recorded with Marty for almost five years. “The western songs were three-part harmony,” Jim once explained. “I laid out those harmonies pretty much the way I laid out the Glaser Brothers harmony, which turned out to be a little bit of a bugaboo for us, because the Glaser Brothers began to sound like we were copying Marty.” They became known as Tompall and the Glaser Brothers because, Jim said, “Marty and company felt it would be better if we had a single name up front. We actually left because we felt we were beginning to damage our own careers.” Later hits for Tompall and the Glaser Brothers included “Gone, On the Other Hand,” “Rings,” and “Loving Her was Easier (Than Anything I’ll Ever Do Again).” They also recorded as solo acts. Jim had their only number one Billboard hit, “You’re Gettin’ To Me Again.” The three brothers owned and operated Glaser Sound Studios at 916 19th Avenue South, just off Music Row. Jim attended my book release party for Twentieth Century Drifter: The Life of Marty Robbins in 2012. During the show, he and Joe Babcock sang backup harmony for Ronny Robbins on “El Paso.” It was the first time the pair had sung together in fifty years. 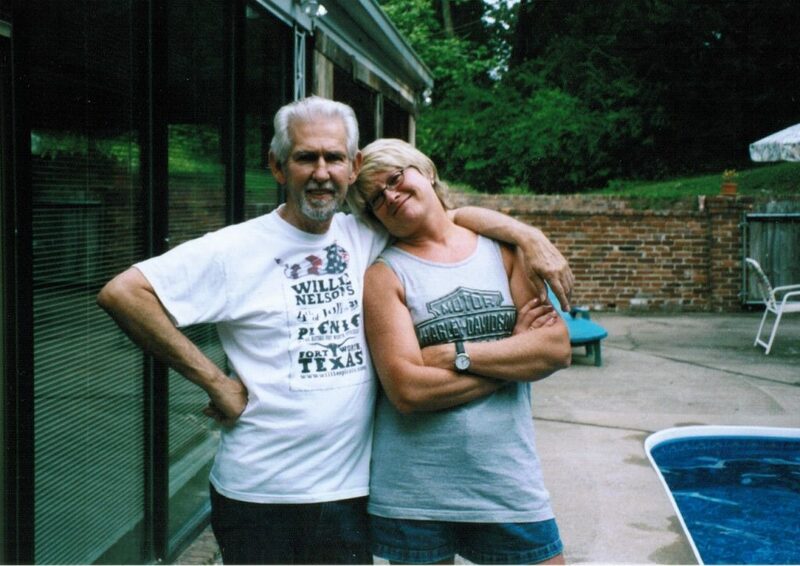 Following Jim’s death, the family held a public Celebration of Life in Murfreesboro, Tennessee. In lieu of flowers, donations to the American Humane Society were requested. Known as the singer who scored 18 No. 1 country hits in the decade of the 1980s, Earl Thomas Conley, 77, died April 10 in Nashville. Suffering from dementia, he had been in hospice care for several months. He stopped touring two years ago due to health issues. The Portsmouth, Ohio, native fell in love with country music during his time in the Army, The Tennessean reports. His number ones included “Fire and Smoke,” “I Can’t Win for Losin’ You,” “Once in a Blue Moon,” and “Nobody Falls Like a Fool.” He did not want a funeral. His body was donated to Vanderbilt University Medical Center. The Tennessee Historical Commission held a dedication ceremony March 26 at the Sumner County Tourism office to announce the placement of two historical markers to commemorate the former homes of Johnny Cash and Roy Orbison on Caudill Drive in Hendersonville. According to the Hendersonville Standard, attendees included Joanne Cash Yates, sister of Johnny, the Hendersonville and Gallatin mayors, and Marty Stuart and Connie Smith. After Roy’s house burned in 1968 and his two young sons died in the fire, Roy deeded his property to Johnny, who planted an orchard and promised to never again build on the property. When he died in 2003, Marty Stuart bought the property and maintained the orchard. Johnny’s house at 200 Caudill Drive burned in 2007. The orchard is now owned by an international businessman who has committed to keeping Johnny’s promise to his friend. Kelsea Ballerini has been welcomed as the Grand Ole Opry’s 67th living member. “She joins a cast spanning from 1956 inductee Stonewall Jackson to such peers as Chris Young, Chris Janson and Dustin Lynch,” reports Sounds Like Nashville. At age 25, Kelsea will be the youngest member. Jan Howard, 90, is the oldest. A groundbreaking ceremony was held last week for The Store, a free grocery store to support needy families in Nashville. It is the result of a partnership between Brad Paisley and his alma mater, Belmont University. Construction should be completed later this year. Brad took the controls of a backhoe to dig the first hole in the designated spot on Belmont’s campus. He and his wife, actress Kimberly Williams-Paisley, got the idea after volunteering with their kids at a similar store in California. “The store will operate like a real grocery store so that people can go shopping through the aisles and Belmont students and other volunteers will scan their items,” The Tennessean reports, “but no money will change hands.” Brad hopes to take away “the sting of embarrassment” for parents who can’t feed their kids. John Paul White, formerly of a duo called The Civil Wars, has a new album, The Hurting Kind, that sounds as if it came from Music Row in the 1960s, reports The Tennessean. White wanted to “write with my heroes,” he said. So he looked up their phone numbers and called Bill Anderson and Bobby Braddock. Both agreed to write songs with him. The Bob Kingsley Living Legend Award was presented to country radio executive Lon Helton at the Grand Ole Opry House last week. “I’m not a fan of surprises,” Helton told The Tennessean. “But I’ll make an exception for this one.” Best known for the show, Country Countdown USA, Helton began his career at country radio in 1971. He has been named National Personality of the Year nine times for the CMA and four times for the ACM. He was inducted into the Country Radio DJ Hall of Fame in 2006. A show followed the dinner for 200, with performers such as Garth Brooks, Vince Gill, and Dierks Bentley. Steve Wariner had been the first co-host of Country Countdown USA. Randy Travis, who once had a job cleaning Helton’s office, presented his former boss with a framed copy of the last check he received, $30 for two weeks of work. The evening’s proceeds will go to the Opry Trust Fund, which has supported needy members of the country music community for five decades. The five previous recipients of the Bob Kingsley Living Legend Award were Kingsley, Joe Galante, Jim Ed Norman, Lorianne Crook and Charlie Chase (together), and Clarence Spalding. In those five years, the event raised more than $350,000 for the Opry Trust Fund. The Saskatchewan Country Music Association celebrated its 30th anniversary last weekend, reports CBC News (Canada’s publicly owned news and information service). The Hunter Brothers from Shaunavon, Saskatchewan, won four awards out of five nominations. They won Group of the Year, Single of the Year, Video of the Year, and Interactive Artist or Group of the Year. Luke Hunter won Bass Player of the Year. The five brothers recently finished a cross-country tour with Paul Brandt and Moskaluke. They also sang the national anthem at the home opener for the Toronto Blue Jays. “Lost,” the first single from their State of Mind album, is currently number one on Canadian country music radio. Country Music Nation reports Keith Urban telling the story of jumping out of the cake at Loretta Lynn’s 87th birthday party. Before the event, George Strait had said, “I can’t believe you’re jumping out of a cake!” Keith told George he’d do the same for him on his 87th birthday. George replied, “I think I’ll have Lee Ann Womack do it, but thank you.” We’ll have to wait twenty years to see that. Craig Morgan recently completed his 11th USO tour, which spanned seven days and five countries: Germany, Afghanistan, Qatar, Iraq, and Italy. Nash Country Daily reports Craig has visited 15 countries and entertained more than 45,000 service members since his first USO Tour in 2002. He was awarded the Army’s Outstanding Civilian Service Medal in 2018, in recognition of his dedication to entertaining troops and their families around the world. Craig spent 10 years on active duty in the U.S. Army’s 101st and 82nd Airborne Divisions, along with more than six years in the Army Reserve. Race fans at Bristol Motor Speedway saw a pink Dolly Parton car during NASCAR’s Alsco 300 on April 6. It was driver Tyler Reddick’s No. 2 Chevy Camaro. Nash Country Daily reports, “In addition to Dolly’s image on the hood, the white and pink car features the Dollywood theme park logo on the rear quarter panels, with the DollyParton.com website across the rear roof.” The car also contained logos of various Dollywood attractions. The Secret History of Country Music is a new weekly series hosted by Taste of Country News host Ania Hammar. On the first show, guest Dolly Parton talked about her tattoos. “I have some tattoos that I started doing just to cover up some scarring,” she said. Her tattoos cover up keloid scarring, a raised scar that occurs on the skin after an injury, surgery or other trauma to the skin. Her tattoos are mostly butterflies and angels. Arkansas Governor Asa Hutchinson has signed a bill to place a statue of Johnny Cash in the Capitol’s National Statuary Hall Collection in Washington, D.C. According to Saving Country Music, “Each state gets to pick two figures they believe best represent their region’s contributions to America, and for Arkansas, that’s Dyess native Johnny Cash. Civil Rights icon Daisy Bates was also selected for a new statue to replace two former politicians from the state whose statues currently reside in the hall.” Rosanne Cash was present for the signing ceremony and press conference, during which Governor Hutchinson said, “We want our memories, through our statues, to tell the story of Arkansas. I believe our story is well represented by these two historic figures.” Fundraising will be the first step in making the new statues a reality. A press release from Country Rewind Records announces three new albums containing music by Jeannie C. Riley, Johnny Russell and Carl Smith. The tracks, recorded in Nashville for broadcast use only, were never commercially released and have not been heard for decades. The original authentic sound has been supplemented with updated instruments and background vocals. Thomas Gramuglia, founder of Country Rewind Records, rescued the master tapes, which had been in storage for nearly 50 years. He “obtained a treasure chest of unreleased recordings from recruitment radio shows from the ’60s and ’70s,” the press release says. The collection of original master recordings contains music from more than 100 country singers. Diane: It’s great to hear from you, Bill. Thanks for the information. Diane: Not that I have heard. Diane: I think he was on a recent livestreamed show with Mo Pitney and Rhonda Vincent. Diane: Sounds great. Let’s give it a try. The phone interview quoted below occurred in late 2000, when I was just getting acquainted with Glenn Sutton. I first met him at Tillman Franks’s birthday party in Shreveport, Louisiana. Over the next few years, he became a friend we would visit on every Nashville research trip. He invited us to his house so my daughters could swim in his pool. By that time, he had long been divorced from Lynn Anderson and no longer worked with Billy Sherrill or wrote hit songs. He once told me about writing “What’s Made Milwaukee Famous Made a Loser Out of Me.” He was supposed to provide a song for a Jerry Lee Lewis recording session, and he received a phone call one morning reminding him the session was scheduled for that evening and did he have a song? Well, he didn’t. He glanced around the office and noticed the morning newspaper lying on the floor. An ad about “the beer that made Milwaukee famous” caught his attention. He told the caller he had a song. Then he hung up the phone and wrote Jerry Lee’s next hit. Glenn stopped by our hotel to visit my sister, Kayo, and me at the end of one trip, and we exchanged emails over the weekend. He died of a heart attack the following Tuesday, April 17, 2007, at age 69. Today we remember Glenn Sutton on the twelfth anniversary of his death. I met Faron in a club. I think at Nelson Gann’s club is where I first met him. I’d just see him in the club every now and then. We’d drink together. I’d see him with Merle every now and then. That’s where we became friends mainly, was just seeing each other in there. That was awful long ago, it’s almost forty years. The song “I Might as Well Be Here Alone” was written by me alone. Merle Kilgore was managing Al Gallico Music at the time and pitched it to Faron. He told Faron he could have half to record it. I would have given it anyway. I was just happy at the time to get the cut. When Merle pitched him the song, I assume Faron said he would cut it for half. And Merle knew I would give it because in those days I had not had many cuts. This practice has gone on since the ’40s and is still in effect today and will be until the end of time. In my opinion a songwriter has to do whatever he can to get established. After he has a few hits then he can cut out all the middle men if he chooses to do so. I didn’t mind that I lost half of that. It was okay with me, I didn’t care–if he wanted to cut something that he liked. I never really pitched Faron any songs. I worked for Epic and Columbia for nine years. Everything I wrote went through all the people on my label. Faron and I were good friends, but after that first one, if you wanted to pitch him anything, you had to give him half the damn publishing and half writer and all that, so I didn’t fool with it. Not Faron necessarily himself, but I know personally that they would look at it in a lot different light if you said the publishing’s open. But I was a signed writer. The main reason I didn’t pitch him is because I just didn’t have any songs for him, I had them all already going. At that time, I was a hundred percent recorded at all times, because everything I wrote got recorded. In those days you could do that, because there wasn’t a million writers. They were arguing about who made the most money. Faron was playing the pinball machine. The bulldozer operator, whoever the guy was, said, “Well, hell, at least I don’t put all my money in a pinball machine.” Faron said, “How do we know you got any money to put in it?” He was just a smart aleck anyway, and he was drinking, and he said, “Hell, I make more money in a goddamn minute than you do in a year.” “Oh, yeah, you make a lot of money. Who gives a &*#?” One thing led to another and the guy took the cue ball and popped him. That had to be in ’67 or 8, the best I can tell. My office was next door to the Professional Club. It was owned by Dottie Swan–Radio Dot Smoky. It was one of two places after 5 or 6 o’clock most of the people would come to if they were on the Row recording or fooling around from their office. I played the pinball machine a lot. I would go in there, and Faron would be in there two or three nights a week. Jones would be in there. There was a place across the street, The Clubhouse, run by Nelson Gann. I went in there a hell of a lot more than I did in Dottie’s place, except Dottie’s I’d go in during the day and have lunch. Jack Johnson spent every dime he got a hold of, when he was working at Cedarwood, in the pinball machines. Before he managed Charley Pride, how far back that was, so it had to be ’65-6. The Professional Club was right next to where Buddy Lee’s office is now, that big red-looking building. Both buildings are gone. Right next to 812 Sixteenth Avenue South, where Al Gallico Music was, me and Merle had an office. Right across the street from where Cedarwood was. Cedarwood is no longer there. Columbia is still where it was, the next building is where Buddy Lee is, then the next building was where the Professional Club was, and then the next was 812. [At a BMI dinner] they served the usual roast beef. When they brought his, he cut into and it was real red. Faron said, “If this was a little rarer, I could screw it.” I don’t know if you want to put that in the book or not. I guess he was trying to be funny. Cuz everybody was talking about the food. Somebody said, “Oh my god, roast beef again.” Every dinner here in the ’60s was roast beef. Always, it was roast beef. You might have got corn on the cob with it, but that was it. My wife at the time was Lynn–I guess she was with me. I don’t know if Hilda was there or not, she probably was. To summarize Faron, he was one of the sweetest most generous men I ever knew. He was also his own worst enemy. He was one of the best singers that ever came down the road. And I think he will be remembered for that more than all the crazy things he did. I am glad to see someone is doing a book on Faron. He deserves one. Good luck with your project and I wish you much happiness on the rest of life’s journey. This entry was posted on Wednesday, April 17th, 2019 at 7:51 am	and is filed under Newsletter. You can follow any responses to this entry through the RSS 2.0 feed. Both comments and pings are currently closed.